This post is from CPOY 64. Click here to view only current posts. 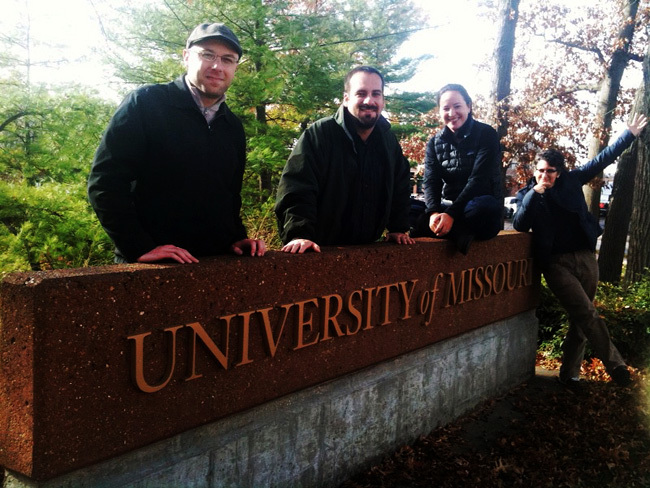 Rita Reed/CPOY: From left, CPOY judges Zach Wise, Seth Gitner, Lara Solt and Nicole Frugé pose on a University of Missouri sign at the corner of Ninth and Elm streets.